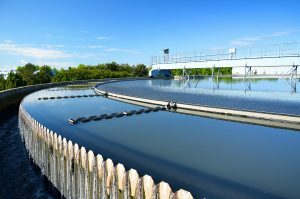 Meeting the standards for wastewater effluent for most Water Services Institutions (WSIs) remains a complicated challenge, one which has been further highlighted through the Department of Water and Sanitation’s (DWS) Green Drop Certification (GDC) Process. A critical part of the GDC process is the development and implementation of Waste Water Risk Abatement Plans (W2RAP). The W2RAP builds on existing good risk management practices in outlining a systematic and transparent approach to ensure consistent compliance and good practice to rendering wastewater services. It focuses on public health and natural resource protection and balances all hazards and risks that may apply along the full value chain. When W2RAPs became a GDC requirement, the Water Research Commission (WRC) funded the development of a W2RAP guideline and associated tools. Emanti was appointed to facilitate the process for the development of both spreadsheet and web-enabled W2RAP tools. Lessons learnt through the W2RAP project have in turn also allowed the review and update of the Water Safety Plan (WSP) tools. These tools will continuously be reviewed to suit the ever changing sector requirements. Emanti has recently concluded a project for WRC and Department of Science and Technology (DST). The project aims to “Build Capacity for the Implementation of WSPs and W2RAPs in District Municipalities (DMs) in the Eastern Cape Province (EC) and KwaZulu-Natal (KZN)”. The project’s primary focus was the empowering of 4 DMs in the Eastern Cape and 8 DMs in KZN to conduct effective risk management in both drinking water and wastewater. The project aimed to support and not to reinvent risk management that has already been initiated by DMs within the Blue and Green Drop Certification Processes. The project also supported further capacity building using the WRC tools together with the project team’s expertise and experience. Participating DM’s are now better equipped at managing their risks within existing W2RAP processes whether internal or Professional Service Provider (PSP) facilitated. As part of the capacity building, a W2RAP improvement plan was also developed. Acknowledging that W2RAPs need to incorporate the entire value chain from consumer to environment, site inspections with the involved WSIs were undertaken for the selected systems. Subject to the completion of the preliminary risk assessments and prioritization, and using the WRC tool, workshops were conducted with the WSI’s and Water Services Provider’s (WSP’s) technical and management officials to ensure that all applicable risks were captured and Control Measure Validation undertaken. Improvement Action Identification allows for the important capturing of responsibilities, estimated budgets and estimated timelines of the prioritized risks. Once the corrective actions are implemented a Residual Risk Rating exercise can be undertaken to ascertain the effectiveness of the improvementactions in lowering of the risk level. Together with fulfilling the guidelines for a successful W2RAP, Emanti also assisted WSIs in the drafting of supporting and monitoring programmes to support the implementation of the W2RAP. Special consideration has been given to Incident Management Protocols, which also form a critical part of the Green Water Services Audits of DWS. With each passing year, the GDC requirements have become more stringent. By way of example, Sludge Management is now a crucial part of the W2RAP process. In addition, the implementation of the previous drafted W2RAPs are checked. 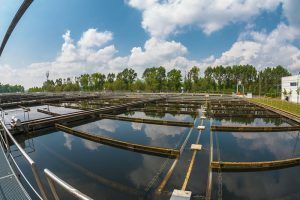 This will mean that WSI’s will need to prove implementation of corrective/improvement actions and demonstrate improved risk based performance on a year to year basis by tracking the implementation process and effluent quality. Emanti is well positioned to assist with these changing requirements. Through the utilization of the WRC tools and Emanti’s expertise and experience, benefits to the municipal sector are being observed for the effective management and mitigation of risks pertaining to the return of good quality effluent water to the environment. Contact us for further information on the W2RAP tool or go to www.riskq.co.za. Wastewater Risk Abatement Planning brochure can be downloaded here.